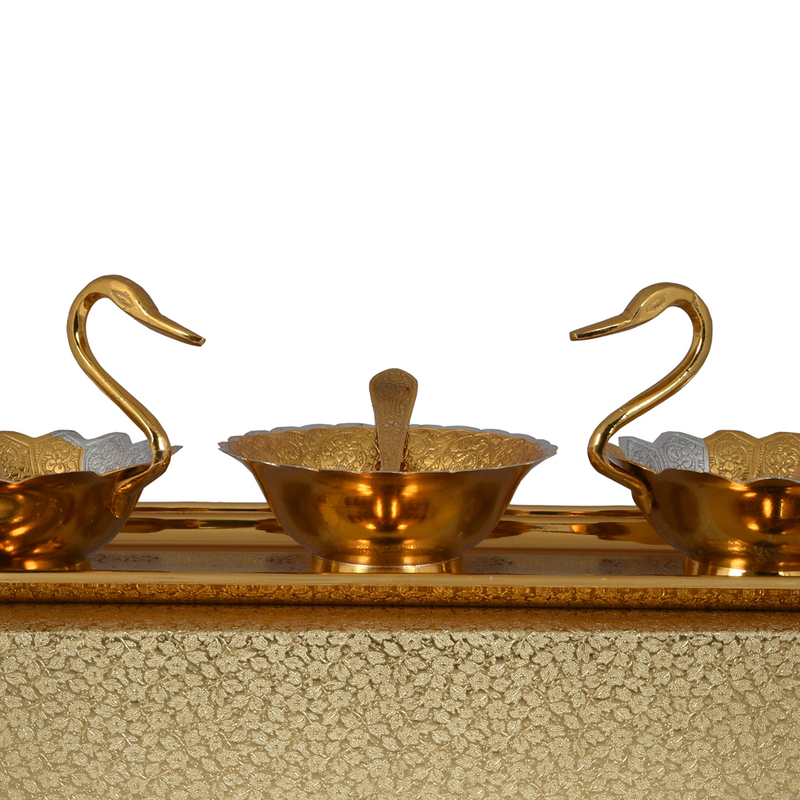 This duck bowl set has 3 identical pieces. 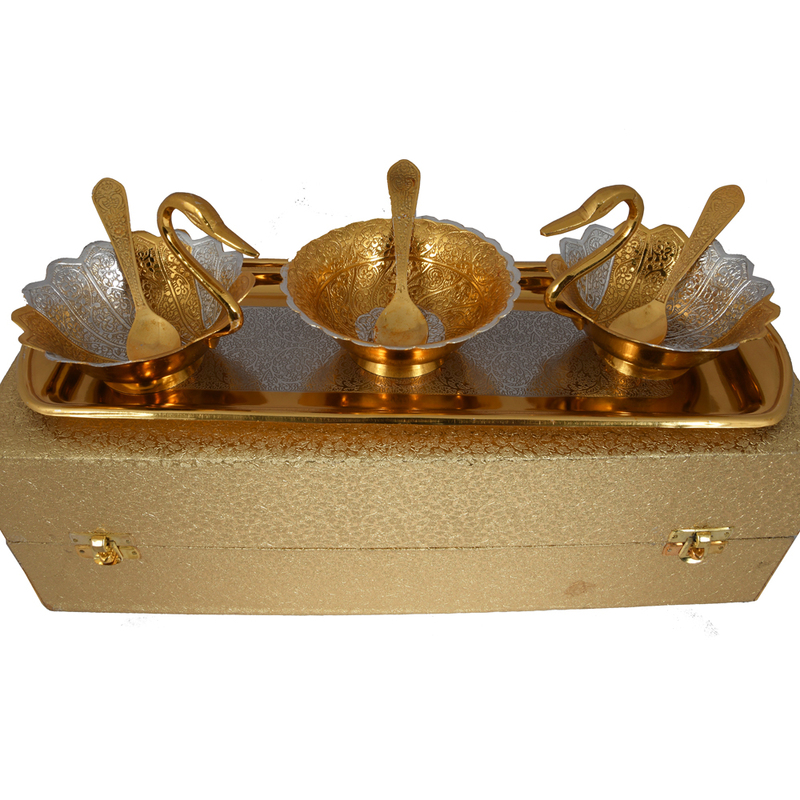 The dual tone of these bowls make them more attractive, and the colour combination of silver and Read More..gold gives these a sophisticated appearance. 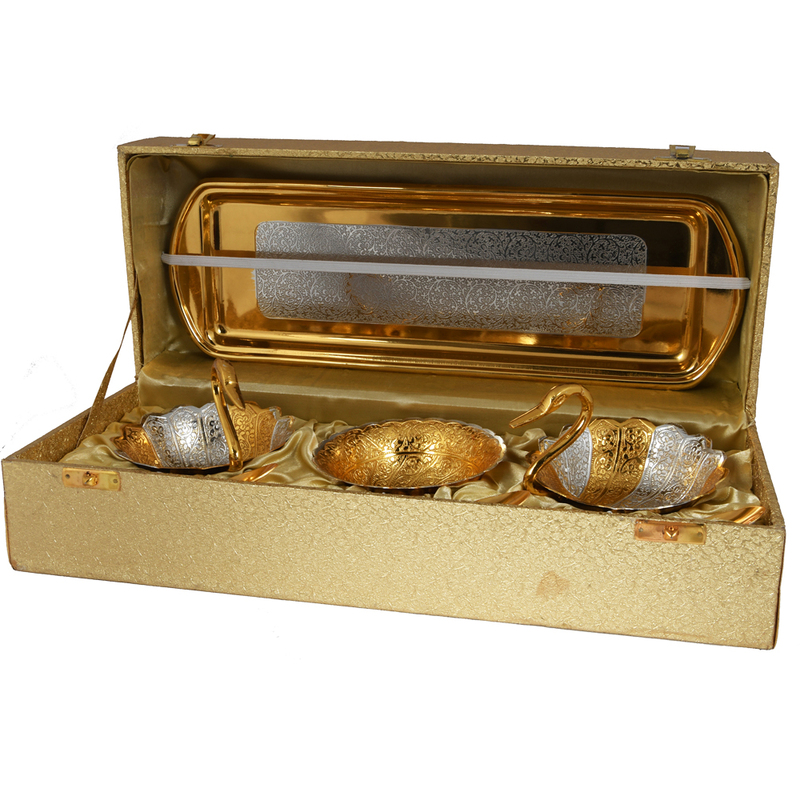 The bowls have wavy edges, and have engravings on the inside of the bowl, while the outside is absolutely smooth. The bowl acts as the body of the duck, with the neck being joined from the edge. 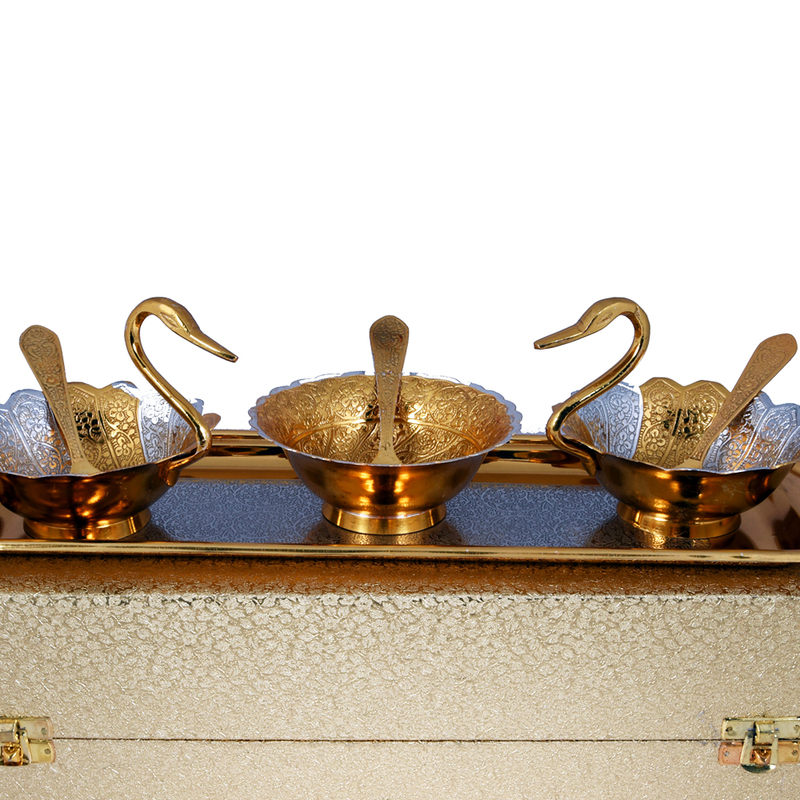 The spoon available with this set complements the bowls quite well. As the bowls are made of German silver, they are quite resilient to any form of corrosion. Show Less..